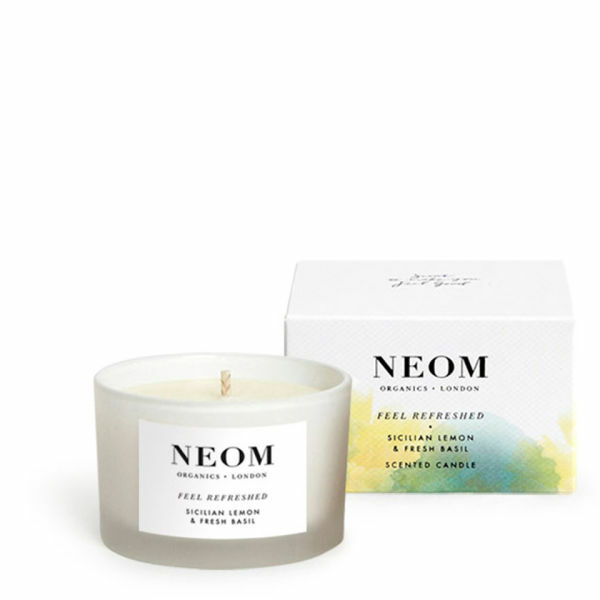 Containing natural vegetable wax and 100% natural fragrances, the NEOM Organics Feel Refreshed Standard Scented Candle boasts a stimulating, rejuvenating aroma designed to encourage clear thinking, filling the air with natural goodness. With a burn time of 20 hours, it's formulated with extracts of Sicilian lemon and fresh basil with light undertones for a clean, ripe scent. Free from toxins, the Feel Refreshed candle is made only from the purest ingredients and is perfect for taking away. K.D.